What Is an Informational Interview and Why Is It So Important? As a job seeker, you most likely have applied to countless job postings, spent many hours scouring the Internet for relevant industry information, and skillfully crafted your résumé to impress potential employers. But have you ever met with a professional in the field you are interested in outside of a job interview? Despite the value informational interviews can bring to your search, they are often overlooked by many job seekers. An informational interview involves an informal meeting with the main goal of gathering insight on your desired industry, company, or organization. 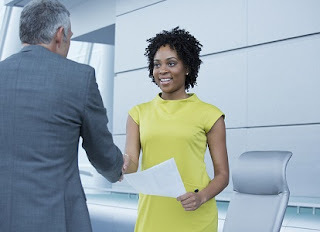 Essentially, the potential job seeker gathers inside information while connecting with valuable contacts that may connect them with opportunities in the future. Keep reading to learn four ways you can make the most out of your next informational interview. Identifying your potential contact is the first step to securing an informational interview. Perhaps you are a new immigrant and are interested in learning about a professional career journey or an organization’s culture and work environment. You should try going through your initial contacts first and see if someone in your network knows an employee who has worked in the organization or industry you are interested in learning about. Having a mutual connection is the best way you can secure an informational interview. Alternatively, you can connect with people on LinkedIn or look up contact information on publically published company directories. Contacting people you have no common acquaintances or connections with requires additional effort. To give you a better chance of securing an informational interview, try starting your email by acknowledging the person’s recent milestones. This can be a recent award, promotion, or significant achievement the person you want to interview received or accomplished. Showing that you have a genuine appreciation for their success will greatly increase your chances of securing an informational interview. Once the contact agrees to meet you for an informational interview, you should be flexible in scheduling. Make sure to work around their schedule and suggest meeting at a location that is most convenient for them. Once someone has accepted your interview invitation, it is important to prepare the questions you want to ask in advance. Develop a focus statement with some key words to help you direct the interview without seeming overly scripted. Be prepared to rephrase your questions if you feel that your initial question was not understood and be ready with follow-up questions to get detailed information. At the end of the interview, ask the professional if there is anything they would like to share that your questions did not touch upon. Remember that an informational interview is not a job interview. You can still showcase your skills and professionalism, but an informational interview should be more heavily weighted toward information gathering instead of sharing. Because you are gathering information from a professional, you should use this interview as an opportunity to find out about their professional career journey, a specific organization, or industry standards in your preferred field. Although you may want to share information about your own personal career journey, make sure that you are respectful of their time. Many times, contacts who agree to an informational interview will not be in a hiring position, and will not have a job that they can offer to you. Requests for informational interviews should never be used as a cover for a request for a job. Although you can be open about your job search and share that you are currently looking for work, you should never ask for a job or pressure your interviewee into passing your résumé or curriculum vitae (CV) onto their human resources department. Be sure to keep your interview on schedule and conclude within the amount of time you both agreed on. At the conclusion of your interview, be sure to thank your interviewee for meeting with you and explain to them how this information will help you achieve your professional goals. Expressing gratitude for the time they have spent with you is an important part of building a lasting professional relationship. You should also ask if you can connect with them on LinkedIn and whether there are other resources they would recommend. Within the same day or week, it is a good idea to send a follow-up e-mail to thank your new contact for their time. In this e-mail, you can also ask them to keep you in mind for any opportunities that might come to their attention. As a job seeker, it can be easy to overlook informational interviews as part of the job search that takes up too much time without delivering immediate results. However, informational interviews are worthwhile for new graduates, recent immigrants, and professionals looking to switch careers or expand their professional network. They are an opportunity to gain insight and knowledge that is not available online. With thorough preparation for an effective interview and an appropriate follow-up email, your next informational interview could be an important step in your journey to career success.